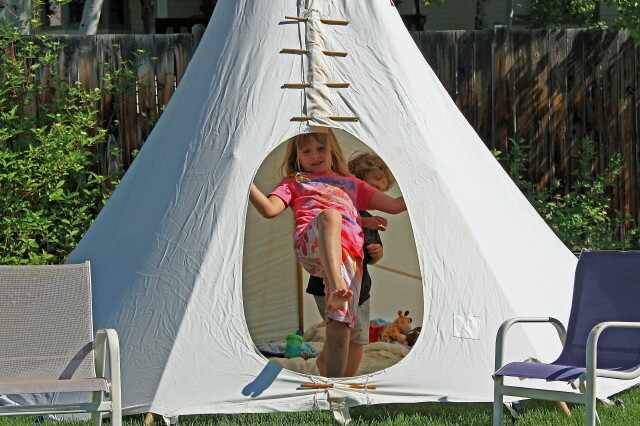 8’6″ diameter, the Children’s Backyard Tipi is both fun and functional. 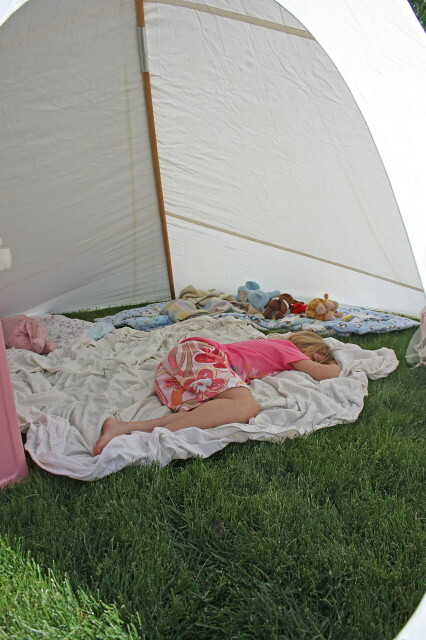 Your kids will love it as a playhouse or for backyard sleepover adventures! Lightweight, packable, and easy to set up, this kids tipi is perfect for scout or church camps, day care centers and youth activity clubs. 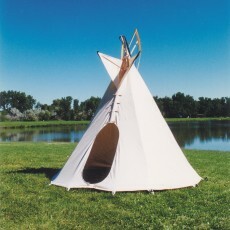 The Children’s Tipi is available in two different fabrics; 10.10oz Marine-Flame, and 12OZ Polaris. 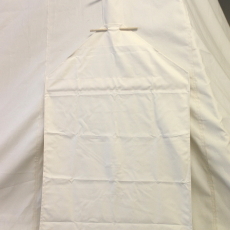 Both fabrics have an oval shaped door cut into the front of the tipi, and a door cover in matching fabric is an option. 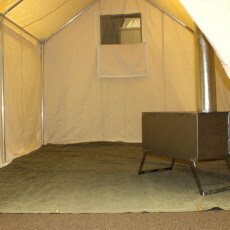 You can also opt to line your tipi with a brown or tan floor tarp. This will provide little ones protection from the ground and dirt as they play. The tipi is assembled with double stitching and all areas of stress are reinforced. The door has an adjustable opening for easy entry. 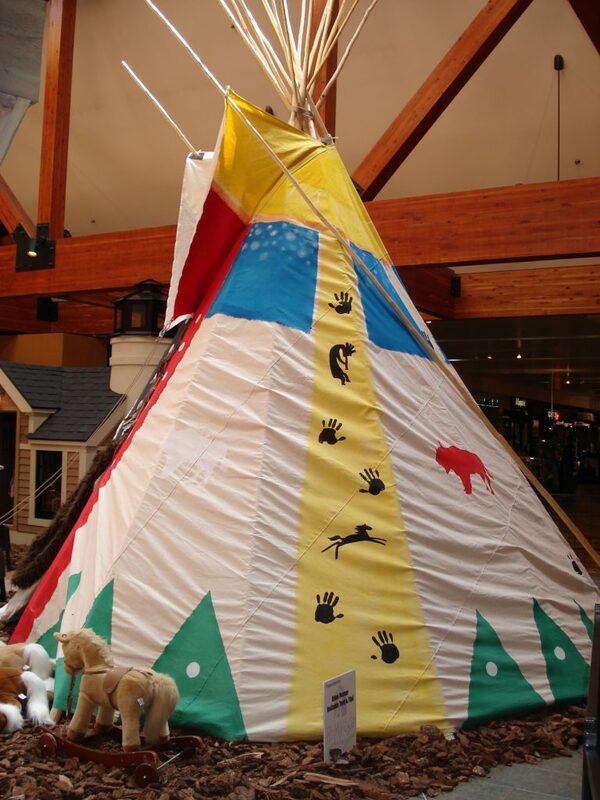 All Backyard Tipis can be painted with Latex or Acrylic Paint, and it’s a great way for children to make it their own! 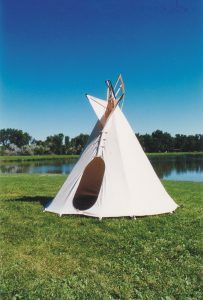 The Children’s Tipi comes complete with 10′ break-down poles for ease of packing and storage, it will also include stakes, ropes, lace pins, smoke flap sticks and a bag. We will even throw in some colored streamers that can be tacked to the poles for decoration! Total weight of backyard tipi is 29lbs, and is shipped via UPS.